“Sure! We can have a nice chat over a warm cup of coffee. After that, if it’s too late, I can give you a ride home since you live nearby,” was Jasmin’s reply to my request for a late evening interview at her studio. And it is this friendly and homely culture at Jasmin Yoga that keeps her students coming back for her yoga classes. 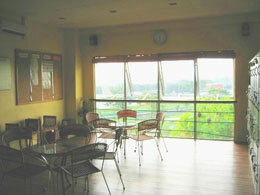 When I finally arrived at her cozy studio on the third floor of Amber Business Plaza, strategically located next to the Cheras LRT station, I was impressed by the beautiful view of the city’s night lights from her windows where I could even spot the neon sign off Genting Highlands in the distance. Soon I was joined by Jasmine Chan Foong Yee, a personable character who patiently related how she was first introduced to yoga and later on, decided to start her own yoga centre, Jasmin Yoga. Jasmin’s first experience with yoga was when she started learning from her mother at the tender age of 15 years. But her most significant mentor in yoga was Mrs. Yap, whom she took classes from 5 years later. Back in those days, when yoga had yet to become a remotely well-known form of exercise, Mrs. Yap was already a popular yoga instructor who owned a yoga centre in Jalan Alor. At that time, Jasmin was highly impressed by her yoga teacher who, at 40 years old, exhibited remarkable flexibility and gracefulness. Jasmin trained under her for three years before she progressed to teaching yoga at other studios. During this time, she spent a lot of her time poring over yoga books and practising how to give demos and how to be an effective yoga teacher. She also trained under the Ananda Marga yoga society, where she still frequently attends sessions up until today. Twenty years on, Jasmin now runs two studios of her own in Cheras; the other being the first yoga centre she set up nine years ago in Plaza Dwitasik. Specializing in Hatha Yoga, she holds two yoga classes daily; all of which are divided to beginners, intermediate and advanced levels. According to Jasmin, her yoga classes are suitable for working people as unlike other exercises, they will feel recharged and rejuvenated after the sessions instead of feeling fatigued. A few years ago, Jasmine went through a difficult time in her life when she suffered from chronic post-natal depression after giving birth to her first son. She attributes her fall into depression partly due to having to undergo a C-section birth. In addition, her slow recovery prevented her from practising what she loved most – yoga – which further worsened her condition. Jasmin returned to teaching yoga two months after she gave birth. In the next few months that followed, yoga gradually helped elevate her depression as she regained her confidence and began practising more often. Her loyal students also provided her with moral support and encouraged her not to give up and to continue teaching. Experiencing her lowest point then when she contemplated to shut down her yoga centre, she eventually persevered and quite unexpectedly, her business boomed over the next two years. Today, she still has a sound and loyal following of yoga students who have also grown to be her close friends. Having been a practitioner for close to 20 years, Jasmine is a veteran in the art of yoga. Watching her in action, she effortlessly folds her body into various positions that seem so natural that it is hard to imagine that she is only one year shy of her 40th birthday. Jasmin believes it is her ability to connect with her students and her layman manner of teaching, which allows her students to easily understand the technique behind each pose, that make her stand out from other instructors. And most importantly, she is a yoga instructor who teaches from the heart. Her motto has always been to teach with a positive attitude and a big smile; making her students feel at home and welcomed each time they turn up for classes. Jasmin loves yoga above all else and feels that she has already achieved her dreams now that she has her own studios where she can impart her knowledge on yoga to her students and friends. Humbly admitting that she is not one who is business-minded, Jasmin harbours no ambition to expand her yoga business any further, however, plans to bring in more varieties of yoga by hiring other experienced yoga teachers in the future. Currently, she has a team of three instructors under her wing who are also specialized in Hatha Yoga. I,m interested in beginners class. I’m from ampang. where is your studio located. hey I am in my first trimester of pregnancy, are you offering any yoga classes for pregnancy?Or if you don’t, do you know where? Do you offer any classes that can help those who are trying to conceive? Hi, I’m interested in beginners class. I’m from Tmn Mulia, Cheras. Well, is d studio located at Bandar Sri Pemaisuri? erm.. can i know d exact location? 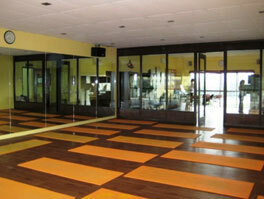 Try Oriental TCM Yoga at Puchong, which combines traditional chinese medicine with yoga. Hi,i m interested in yoga class and i staying at Bandar tun razak. Got any yoga class is near to any lrt station or monorail? Hi, Can u please e-mail me your july schedule again? And, do you have yoga for kids? BTW, can I bring my kids along when I am in the class? I’m just wondering do you provide post natal classes as well.I’m staying at puchong area.